White or Amber. 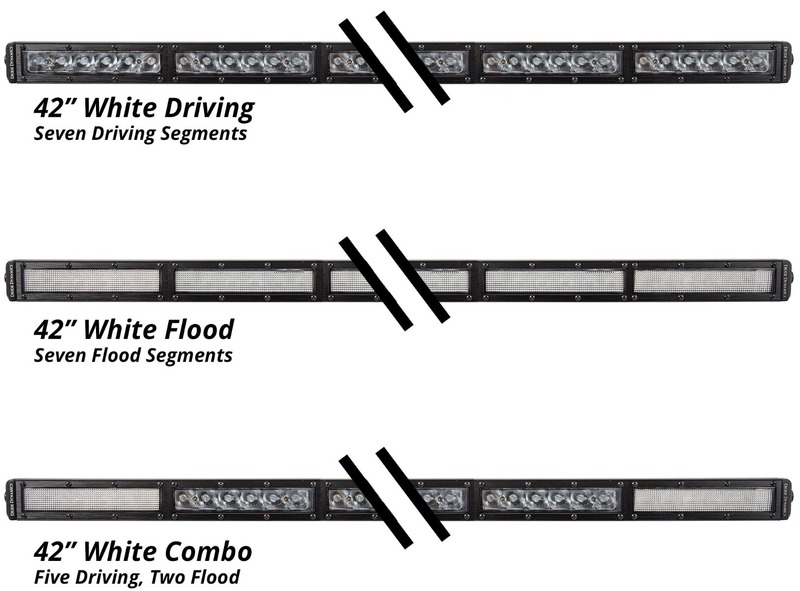 All Stage Series light bars are available in a cool white or amber color. The white is a 6000K color temperature, which is a true white output, without any blue. The amber is a brilliant deep yellow color, perfect for hazards or high contrast in poor weather. The SS42 Stage Series 42" Amber Light Bar can be found here.